Ready to shake up your dating experience? 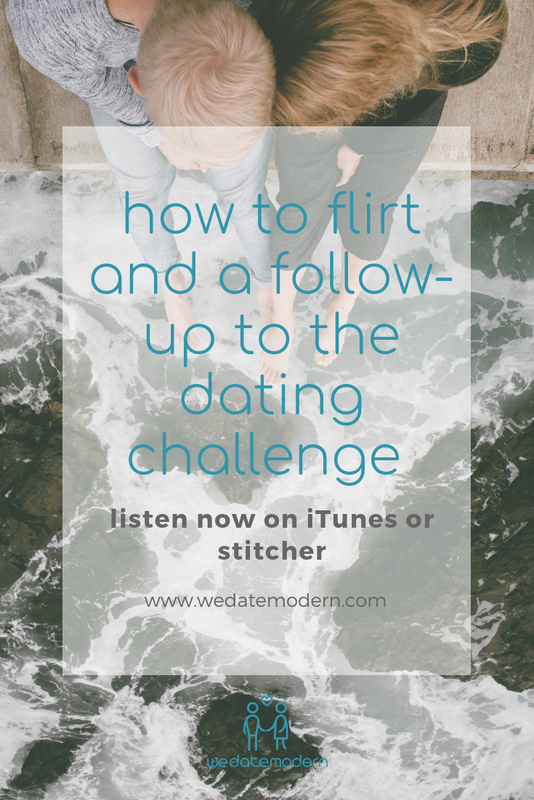 A couple of weeks ago we invited you to take the We Date Modern Dating Challenge. The idea was that you would spice up your love life by leaping out of your comfort zone to ask a guy out on a simple coffee date. We liked to think of it as exposure therapy, or a way of intentionally desensitizing you to the experience of initiating romantic contact with a prospective partner. Hands down the biggest complaint we hear from Christian women at We Date Modern is that men are not stepping up to date. You can listen to our past episode about why men aren’t stepping up now. While there are many reasons for men to hesitate, we wanted to put you back in the driver’s seat of your own love life. Some of you were bold and took the challenge. You get a gold star and cool points in heaven. Others (cough - our own contributor Rasheeda - cough) were a bit on the fence. It turns out that asking someone out, even for something as low-key as a $20 coffee can be as anxiety-provoking for some of us as a marriage proposal. On this episode of the podcast, we’ve invited Rasheeda Winfield of Christian Girl Gone Rogue back to talk about why she hesitated to pull the trigger. We’ll also talk about ways that we can “put ourselves out there” without too much pressure. During this podcast episode, Rasheeda mentioned how she was honored to participate in The Dating Project film. If you haven’t seen it yet, it’s a documentary following the lives of 5 real single men and women, ages 18-40, as they navigate the modern landscape of dating. One of the most interesting parts of the film is the dating assignment Professor Kerry Cronin gives to her students at Boston College to help them learn how to initiate a little romance. To help you shake up your dating life a bit this week, we’ve created the We Date Modern Dating Challenge. If you’re ready to stop talking about dating and experience something new in the world of love, we encourage you to take the challenge! Be sure to grab the rules and then let us know how it goes. We can’t wait to hear your stories so email us at info@wedatemodern.com. You can also hop into the We Date Modern Private Facebook Group to get a little encouragement and support from women who are also taking the challenge.